My dad is obsessed with Gaspesie, Quebec so this trip we took in July 2014 was our fourth time there! I remember the last time, my sister and I were 16, 17 years old so as we stood on the wharf and watched people kayak towards the Perce Rock, my dad said that the next time we’re back, we will definitely have to do that. Who knew that we had to wait 10 years for this? I must say though, it was totally worth it! The company we went with was called Avolo Plein Air. They had different packages for different levels so we chose the “The Rocher” one since the goal for us was to see the Perce Rock! 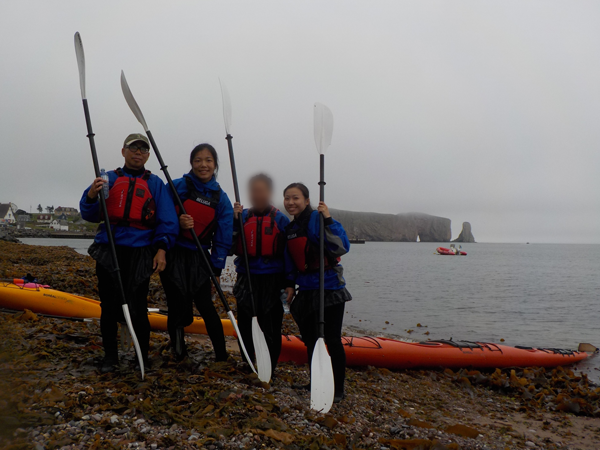 To do sea kayaking in Perce on your own, you need to be certified. If not, the only way is to go with a guide through a company (like what we did). When we got to Perce Rock in the morning for the kayaking, we got a bit worried since it was raining and from the shore, there was so much fog we could barely see the rock! Nonetheless, the guides said the weather was still good to go so we started putting on our gear. We went end of July so with the wind, it was chilly! If you’re a beginner or going with children, it is best to go in the morning since the waves are less big then which makes it easier to kayak. We got into our tandem kayaks and started our adventure! 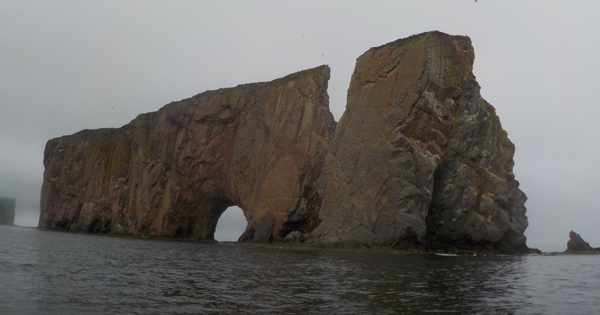 We kayaked along the shore until we reached the other side of the Perce Rock and then made our way around it. The guide there was amazing! He kept checking up on us regularly and would provide us with very useful information about the animals we saw. 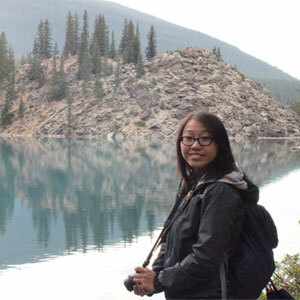 He was also a great photographer (you know us Asians, we just love taking pictures!) so we took some great ones when we got close to the hole. Too bad we weren’t allowed to pass through it! Just kidding! Wouldn’t want to wreck such a precious piece of nature! 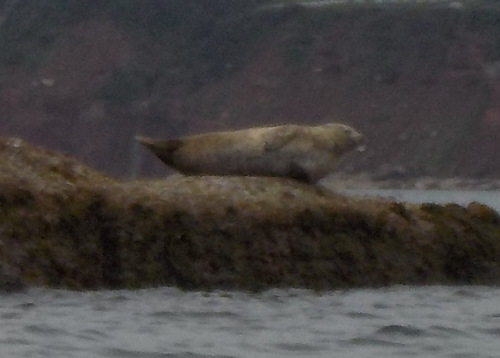 On our way back to shore, we spotted a seal sunbathing on the rock! So cute! Overall, I highly recommend going with Avolo and it was definitely worthwhile to accomplish this dream my dad, sister, and I had planned out so long ago!